vRealize Orchestrator/ vCenter Server Orchestrator is a workflow engine that enables users and external systems to execute and monitor workflows. 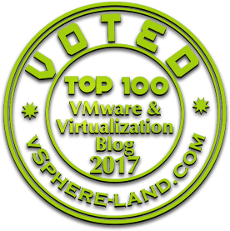 Packaged with VMware vSphere and available to all VMware vCenter Server customers at no extra charges. The automation capabilities of vCenter Orchestrator reduce delivery times and human error. Automating IT processes using vCenter Orchestrator workflows makes the processes reproducible, so the processes provide the same result each time they run. vCO can run multiple workflows in parallel,perform checkpointing. The JBoss-based workflow engine stores the state of each running workflow consistently and persistently in the vCenter Orchestrator database, so workflows continue without data loss at the state that they were in when the service stopped. Workflow execution continues even after a hard restart of the vCenter Orchestrator service. Processes remain stable even when the vCenter Orchestrator server crashes.